Let me first list the Event Calendar WD features for you to look through, and then I’ll go over them in detail. The variety of the view modes will please any website visitor and contribute to a better user experience on your website. All the views are very beautiful and will fit any kind of website layout. The number of the events, as well as the calendars, that you can add to your website is unlimited. Event calendar has filter add-on, which enables your website visitors to find specific events they are most interested in by categories, tags, days, organizers. All the events can be shared on social media enlarging your potential audience. The Google Maps integration enables you to mark up the venue of the event on the map and show your visitors the exact location. You can mention the organizers for every event, which will make them more trustworthy and reliable. The elegant themes are there to fit any website and provide beautiful visual impact. The recurring event option will enable you to automatically add repeating events on your calendar and manage them easily. You just have to choose the repeating period rate and the events will appear on the calendar automatically. 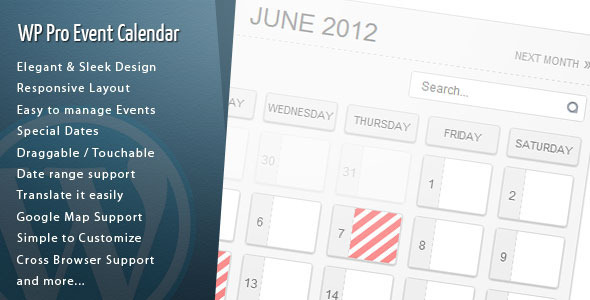 You can try and see all the functions of this WordPress slider plugin by calendar demo. You can get “Upcoming Events” add-on and highlight the scheduled events in near future. “Countdown” add-on is great to display how many week/days/hours are left for the particular event, and make sure your visitors are not going to miss it. “Google Calendar Integration” and “Facebook Integration” add-ons will enable you to integrate events from your Google calendar or your Facebook page with minimum efforts. 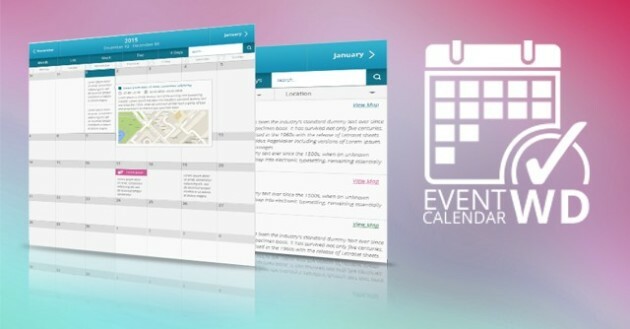 “Event Tickets” add-on will add a functionality to your calendar for selling tickets for your events. You can set dates for ticket sales, price and the number of the tickets available for sale. There are several payment methods from the WooCommerce extension list that this add-on supports. There is also a Guest Check-in option within the add-on, and the possibility to send custom emails to the ticket buyers. There are also other high functionality add-ons which are really worth having. 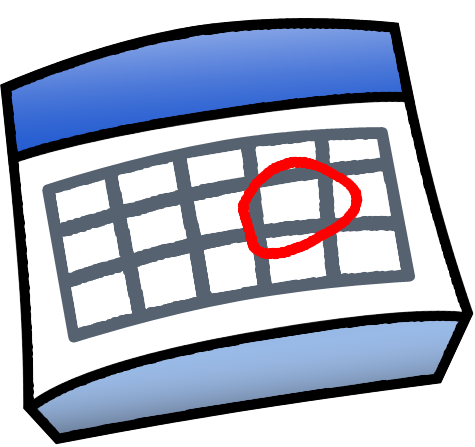 Another valuable advantage of this calendar is that it is SEO-friendly and helps search engines to easily find out about your events with the structured event markup feature that it supports. What really sets this WordPress event calendar plugin apart from its counterparts is that it provides all the necessary features and functionalities to easily organize and manage events within your calendar. It is updated on a regular basis and provides timely support for all its users. Gayane Mar is a passionate web-blogger who started her blogging activity a few years ago. Her posts are all about web design and web development. She writes all these posts for good people who need some guidance or advice with web development. The driving force behind her writings is the great hope that her blog posts would be helpful for each and every one reading them. Thank you Davis for the comment. 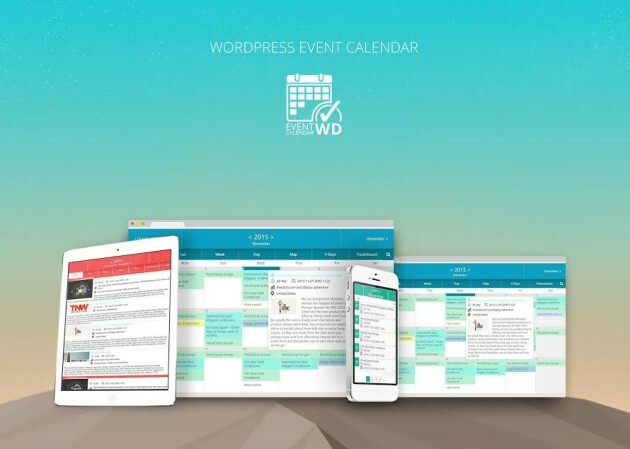 I’ve personally tested several WordPress event calendars including the one you mentioned above and Events Calendar , but so far Event Calendar WD plugin really stands out from its counterparts with its features, functionalities, add-ons and price.